Set Maker for THE PLAYROOM on PS4. broadcast your own shows. THE PLAYROOM team over in Japan Studio, we’ve been hard at work with our latest update, something that is going to let you unleash your creativity and talent to the world. Tada! 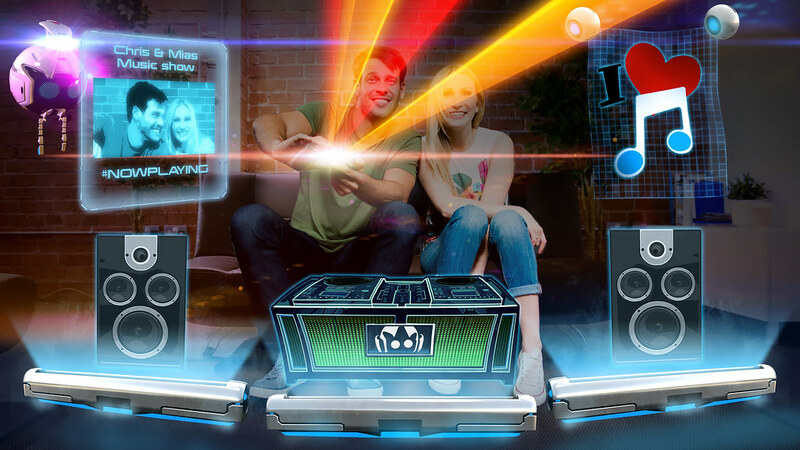 We’re pleased to announce SET MAKER, a brand new DLC for THE PLAYROOM, which lets you turn your living room into a TV studio and broadcast your very own shows to the world! So how does it work? Well it’s super simple! Just grab your tablet, smartphone (Android or IOS are both fine) or your PS Vita and in a few clicks, create virtual banners and holographic billboards to decorate your place. You can use images, photos stored on your smart device or draw them from scratch. Your set will then come to life, courtesy of your metallic friend Asobi. Once you’re set, just hit the SHARE button and off you go! We really focused on making the creation phase interactive too so everything you build can be knocked about and reacts as you’d expect. Just be good and don’t trash your set, alright? As well as boards and banners, you can create and wear face masks. As always, we include some cool pre-sets but the funniest part is still to take a snap of your friend’s face and put it onto yours! But that’s not all! For those of you who really want to go the extra mile and start a talk show, Asobi will lend you a hand with holographic text billboards inside, on which you can write blurbs and play back videos you captured or edited on PS4 with SHAREfactory. We’ve created SET MAKER both as a fun interactive theatre and a powerful tool for you guys to express your favourite topics in a fun broadcast. So whether it’s gaming, music, sports, cooking or just chilling, you can now make awesome TV shows right from your PlayStation 4! That’s it from us, please tell us what you think and what new features you might want to see next as we are always listening to you!